If you are looking for someone to capture the most poignant, beautiful, and memorable moments from your wedding so that you can look back and remember your special day as if it were just yesterday, Sam & Ekta are the perfect team for it! They pay so much attention to telling your story, and make it come alive through their work. Their focus on the little details that we hadn't even thought of was amazing! Although I (Devanshi) had met them when they shot my brother's wedding, Sam and Ekta came over to meet me before our wedding to understand and get to know us. In the midst of their holiday in San Francisco, they also made time for for us to do a photoshoot (since we were also in SF at the time) and we wanted our shoot to be in the city that we are planning on starting our lives together in. When we think about them, the first words that come to our minds are: super creative, understanding, talented, flexible, professional, and friendly. Some of the incredibly artistic images that they shot with just their cameras blew our minds and we were so excited to have these! Sam and Ekta are truly the best and we could not imagine anyone better to keep alive the memories from our wedding celebrations! From the moment, Sam & Ekta contacted us, they were eager to know our story, where we come from and our ideas about the shoot. During the shoot, we were told to feel like we are running away from everything to be with each other. Apart from the posed photographs, there were so many moments where we didn’t even know that the photos were being clicked. One particular moment I remember is when we were at the beach and the sun was about to set, Sam asked Rushika to enjoy splashing the water around while I was just reminiscing the moment and in that Sam clicked a picture perfect where Rushika is splashing the water which is tearing into two right at her toe and Ekta took a snap of me happily noticing that. Also, there was another shot where I wanted to a typical Bollywood pose but sun was setting in quick so I had to quickly lift Rushika and get that perfect pose right in time for Sam & Ekta to capture. I was so happy that they clicked it perfectly! All in all, It was a bliss to shoot with Sam & Ekta and we made a ton of memories to cherish for a lifetime. The task of capturing the precious moments in our lives must always be given to some one you can depend on, and let me tell you - you can undoubtedly, blindly, definitely count on them! We loved each picture they took! 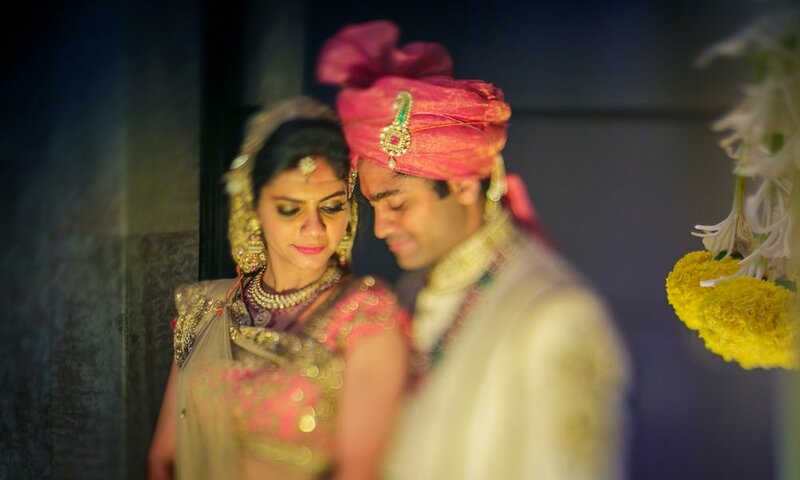 Sam & Ekta worked diligently to capture the special moments of our wedding celebration. They were considerate of our likes and dislikes, wants and concerns, and strategised well to provide us with a fantastic and smooth photography experience. Part of their success must be attributed to their easy-going, friendly demeanour that allows them to comfortably move through the crowds, encouraging happy (and candid) moments. They were respectful of our guests and at times camouflaged into the background to protect an auspicious moment in our wedding ceremony while managing to capture it on film. They collaborated well with our videographers as well, making great team members. It was a pleasure working with Sam & Ekta, and we have recommended them to our friends! As soon as our wedding date was finalised, the photo fanatic in me began the quest for that special someone to best cover our special event. I got in touch with various photographers to discuss what they had to offer. Sameer was the only one who said "before we discuss that, why don't you tell me a little more about yourself and your fiancé". That was the moment, I started leaning towards him. From the first few (of many) emails exchanged, we learnt that they understand that a wedding can only be relived through their photos. Their style of photography and approach is par excellence - it certainly shows that they like to capture and deliver wedding memories to the best of their abilities. Just a team of two managed to beautifully capture all the rituals as well as parties, both in photos and videos. Most importantly (and I cannot stress this enough), Sameer and Ekta are wonderful people to work with - humble, easy going, punctual, fun, innovative... the list goes on. Their passion for photography as well as their assiduousness was evident from the start. The pre-wedding shoot done in the chilly weather wouldn't have been possible without their encouragement and patience. They never needed a reminder call; in fact they would be at the venue before time, scouting the best locations for candid shots. They were also very accommodating to our special requests, especially with the video which is both tedious and time consuming. I am looking forward to my sister's wedding and working with them again. Being an event organiser, I am someone who naturally strives to have a perfect and flawless event mapped out. Unfortunately for me I had zero control at my own wedding - blessing in disguise I guess! Trust is a very difficult thing to achieve, especially if you don't know the person. However, all my fears were alleviated the first time I met Sam and Ekta on our first location shoot in Bhutan. They had already mapped out locations for our shoots, how to utilize the fading light to their advantage and even battled the freezing cold weather to ensure they captured all the shots they needed! The 3 days we spent with these guys was superb, there was no task too much for them and were always accommodating. They have fantastic chemistry and understand a couples need in a time of high emotion and energy. There were times I had totally forgotten they were there, quietly going about their business to capture our special moments for us. I would always choose Sam & Ekta for my international projects as and when required, and will have zero hesitation in recommending or even working with them again in the future! My sister is a perfectionist and a photo fanatic so all aspects of her wedding had to be just right, especially the photographers. This Herculean task seemed simpler from the moment I interacted with Sameer and Ekta. Their passion for their work is evident every step of the way and is more than enough to put anyone’s mind at ease about their delivery and performance. It’s clear from their approach that a wedding is not just another assignment for them. They understand the importance these snapshots hold and hence do not restrict their deliverables in terms of time or ‘click-target’. Where their on-site functioning is concerned, it would be fair to say that these two can effortlessly handle all photo and video requirements even if two functions take place simultaneously at different venues as was the case during the wedding day. Their industriousness is only matched by their diligence and work ethics. Dealing with them was easy, comfortable, hassle-free - in short a pleasure! And this is largely because they are amazing people. I look forward to working with them soon. Candid and raw are two words that best describe Sam & Ekta's work. Their images capture the raw energy and purity of the moment, which is untampered and unfiltered. They make a powerhouse, passion driven team. Sam & Ekta's work is amazing. The way they capture the tiniest of moments and emotions in their frames is magical and surreal.